Start your future in healthcare at the crossroads where treatment, medicine, insurance, and patients connect. Do you want an in-demand career where you can take pride in working directly with patients to deliver medications and provide excellent customer service? Help patients by validating prescriptions and preparing medications. 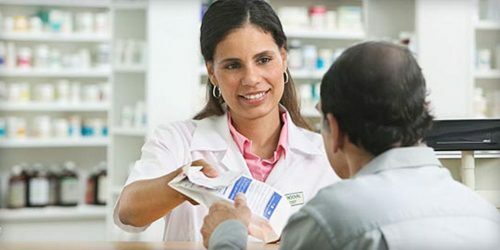 After successfully completing the Pharmacy Technician program, you will be fully prepared to sit for the Pharmacy Technician Certification Exam (PTCE) and begin a rewarding career working with pharmaceuticals. The Institute for Health Professionals’ Pharmacy Technician program is a 2-part course, totaling 160 hours. Combine online lectures with hands-on, weekly onsite lab practicums in order to gain a broad knowledge base that will prepare you to pass the Pharmacy Technician Certification Exam (PTCE). You must submit an application to be considered for admission into this program. Career planning during Term II of the Pharmacy Technician program. You will complete a tailored resume, develop a networking plan, and prepare for non-technical aspects of internship and employment. Externship or internship immediately after completing the Pharmacy Technician program, 120 hours supported with coaching. You will receive job placement support, referrals, and connections to employers. Who is the Pharmacy Technician Program for? You want an entry-level position within a pharmacy setting. You have an understanding of basic algebraic principles, a knack for solving word problems using equations, and have completed some basic sciences. Tuition is due at the time of registration, or students may set up a 6 month payment plan with the Portland Community College Business Office. For Information about the payment plan, please visit the PCC Payment Plan webpage. Don’t see the course you want? Contact us[opens in new window] for more information. Mail or deliver a complete Application Packet. Make sure you include the required documentation. Contact us to RSVP for the next information session. Follow the steps at the bottom of this page. Do I need to submit the original documentation of paperwork required in my application? Do I have to submit to a background check or drug screening? No, we do not require Pharmacy Technician applicants to submit to a background check or drug screening. Will incomplete applications be accepted? No, we will not accept incomplete applications. The program is 2 terms in length. Part of the course is online, and part in an in-classroom environment. Yes. Upon program completion, you will be prepared to sit for the Pharmacy Technician Certification Board’s PTCB exam. "Thank you so much for all you've done for us, Angela. You're a fabulous instructor and I can only hope I'll get to work with someone like you." "Seriously, you rock! I've never in my life had a teacher who was willing to help me out with job advice at 8 am AFTER the term is over." "I passed my certification test! Thank you so much for being such a supportive teacher; your class helped me to realize my goals." "You are awesome. I’ve enjoyed this class so much, and hate to see it end."